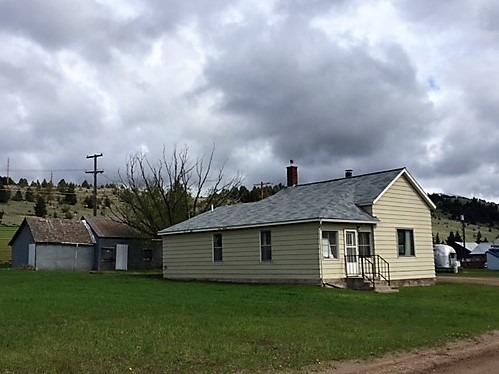 You’ve got to see this beautiful 2 bedroom, 1 bathroom home for sale in Philipsburg, Montana! The estate is near Philipsburg Town Park, Shakey Park, Douglas, Frost, Crow and Flint Creek. The property is currently used as a month to month rental but would also make a nice home or weekend get-away. There is a nice yard and a detached garage. Kitchen is remodeled and has new plumbing and electric. The area is known for its recreational opportunities! Only 20 minutes to Rock Creek or Georgetown Lake for some incredible fishing. It’ll take you the same amount of time to get to your favorite hunting spot in Deer Lodge National Forest. Contact listing agent, Debbie Dauenhauer Hess, at 406-859-5563 for a showing today! Listed at $145,000.